My truest love is the Optical Shop! 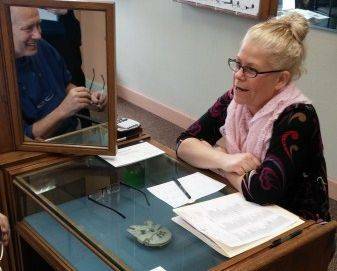 In my over 20 years of eye care experience, I have served my clients in many capacities, including as an optical lab tech, office manager, contact lens specialist and optician. I take a great deal of pride in my work, and love to use my great eye for color, shape and balance, as well as my expertise in the latest lens technologies and coatings, to help patients find just the right pair of glasses for their taste and lifestyle. I look forward to helping you and your family with all your optical needs. Come on in and see me today at Optical Images!